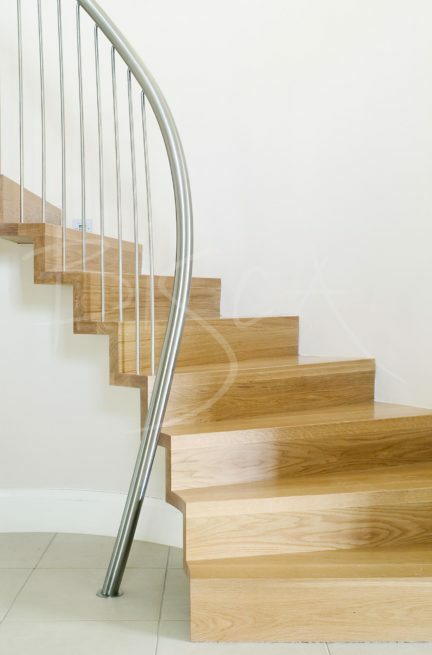 A curved oak staircase designed for a curved alcove in an entrance lobby. 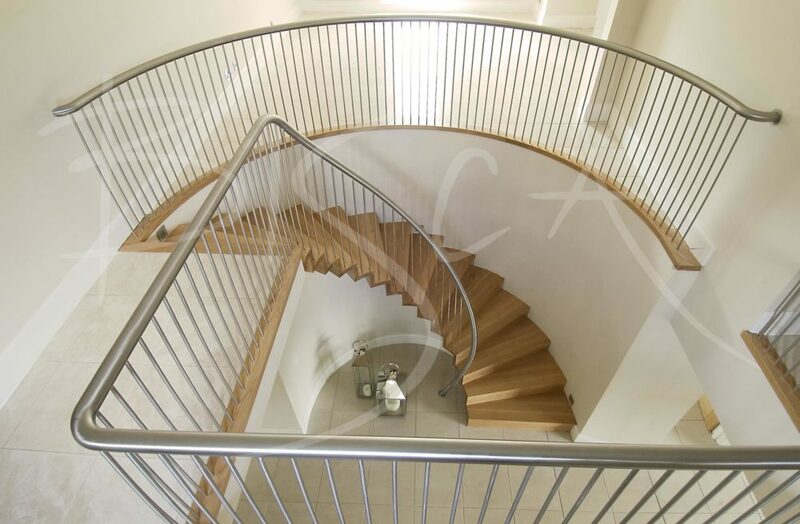 An unusual semi cantilevered staircase of oak and steel. The stair is full width at the foot, but the treads sit deeper into the wall as it reaches first floor. This means the stair is narrower at the top than bottom for two reasons. 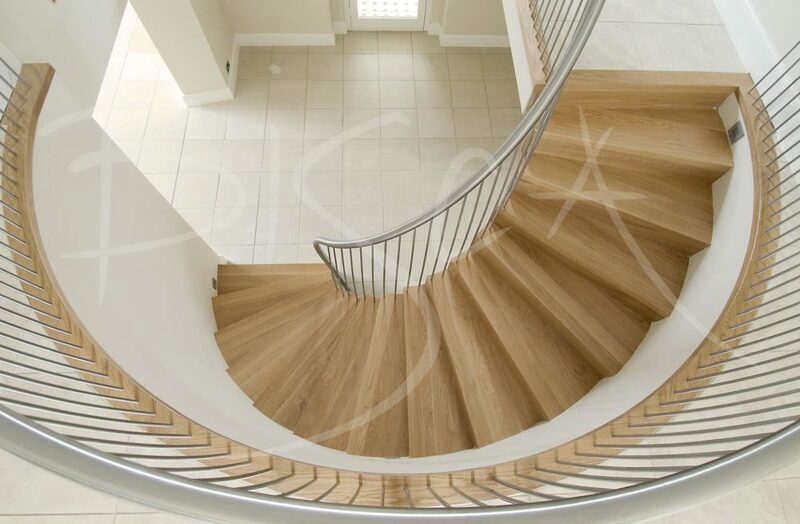 Firstly, the client liked the idea of not having a full width staircase overhead and, secondly width was not required at the top. A key advantage of a semi-cantilever design over a full cantilever is one of cost. The outward effect is very similar and both has a cantilevered appearance. Compared to a straight flight, cantilevers do tend to be more marginally more expensive. However a cantilever will give you your statement stair. 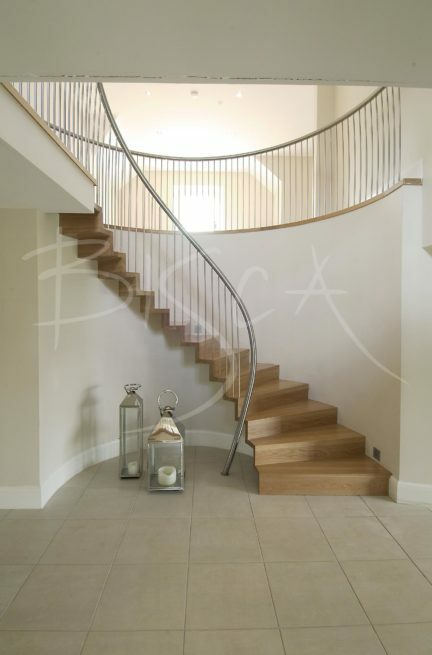 For a guide price or to discuss this curved oak staircase design, please quote ref 1906.